Xiaomi’s latest Mi 6 smartphone has been breaking the record in its homeland, China. The device outperformed in the first flash with stock running out in a jiffy. Now, a new report claims that Xiaomi might be struggling with supply issues for its latest flagship. 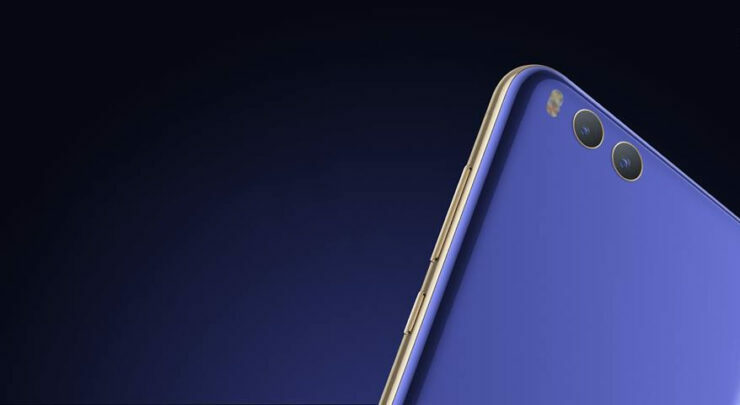 The Mi 6 is facing shortage of its processors and the ceramic shell on the rear. As per MyDrivers report, Xiaomi Mi 6 is currently facing supply shortage of Qualcomm’s Snapdragon 835 processor. It is the same processor that power Samsung’s latest Galaxy S8 and S8 Plus smartphones. There are fair chances that Qualcomm might be favoring Samsung to stock up its devices with the SoC instead of Xiaomi, after all, the Galaxy S8 duo has been performing pretty well on the market, and Samsung must have increased the demand for the chipsets. In another issue, the Mi 6’s exclusive Ceramic edition has also run into supply shortage for its ceramic shell. The Ceramic shell on this particular edition replaces the glass back on regular units. Due to the issue in supply, Xiaomi is not able to meet the demand for its smartphone in China, and this issue could further delay its launch in other regions. The Mi 6 costs RMB 2999 ($435) for the 128GB Ceramic variant while the standard variant retails at RMB 2899 ($420). With the growing demand for the phone, we can expect the next flash sale to witness a clean sweep as well. To recap, the Mi 6 comes with a 5.15-inch LCD screen and is powered by Qualcomm Snapdragon 835 chipset. The phone features 6GB of RAM, and is available in 64GB/128GB storage options. There is a dual camera setup on the rear of the device; a 12MP wide angle sensor clubbed with a 12MP telephoto sensor. The device lacks 3.5mm audio jack and has a USB Type-C port instead. Xiaomi claims that removing headphone jack made room for better battery performance with USB Type-C. The Mi 6 still stands out as the most attractive budget offering, thanks to its powerful specs. It would be interesting to see how it performs after the release of OnePlus 5.